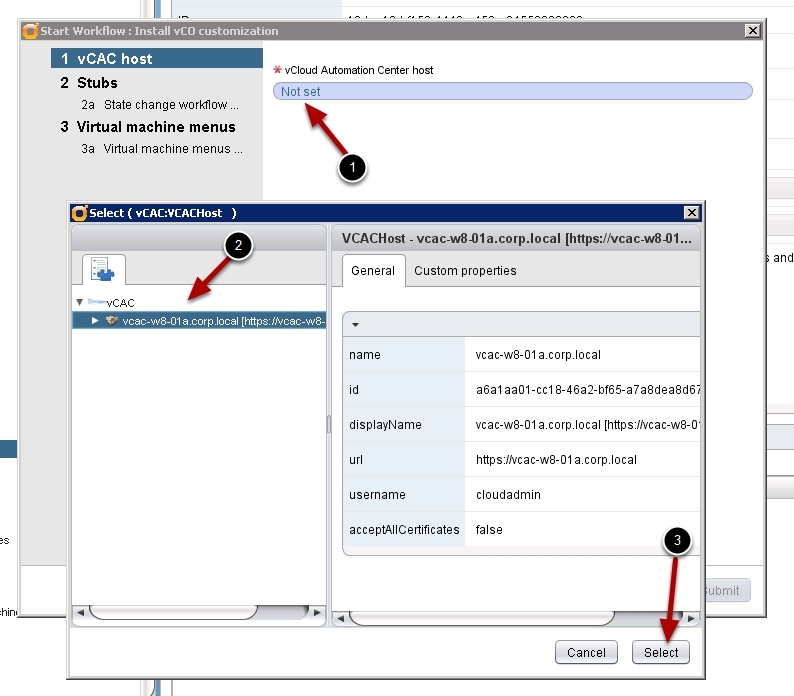 This guide will show you how t configure and use vCO to extend the out of the box vCAC provisioning work flows. All this without ever using vCAC design center. This enables you to do things like call out to other systems that may need to be updated as part of the provisioning process, run scripts in the guest VM, open firewall ports or configure a load balancer. 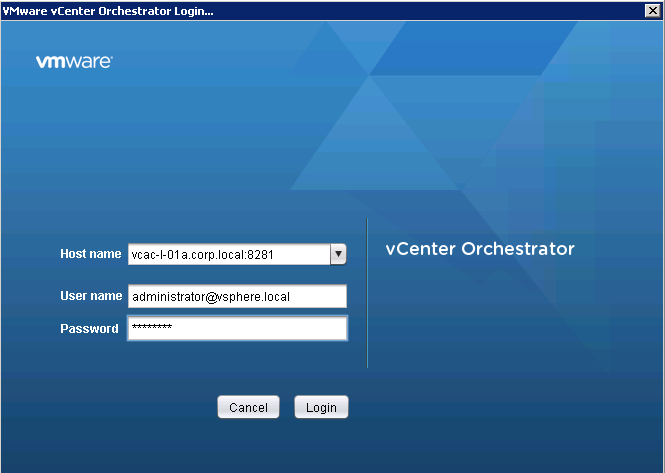 vCenter Plugin for vCO configured to connect to the vCenter that hosts your vCAC reservations and blueprints. The following diagram shows what this will enable. 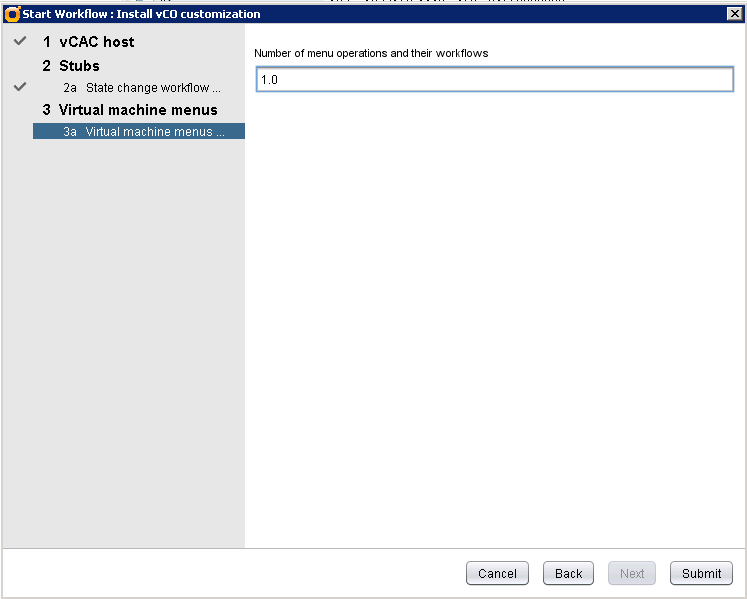 We are basically going to modify the vCAC workflow stubs to call a vCO workflow instead of using the Visual Studio based design center to extend vCAC provisioning workflows. 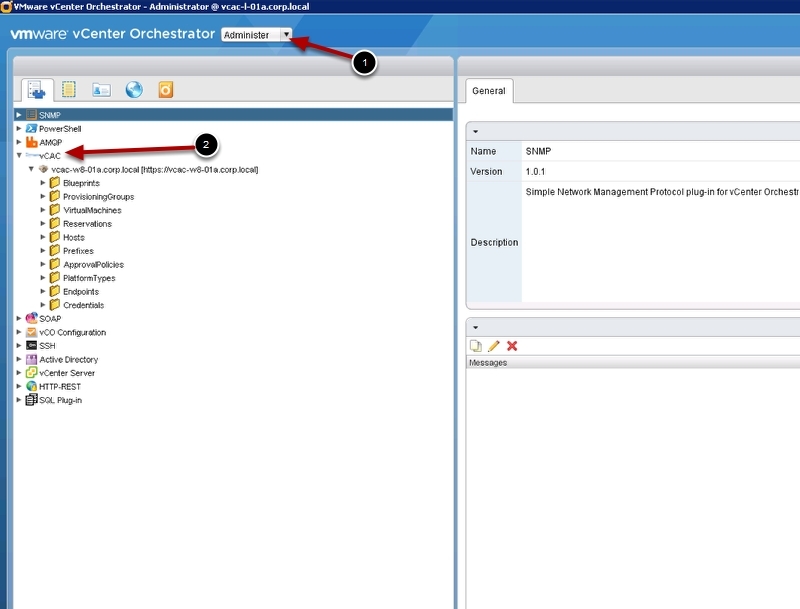 Change to Administer view and browse the vCAC plugin to verify you are talking to your IaaS server. 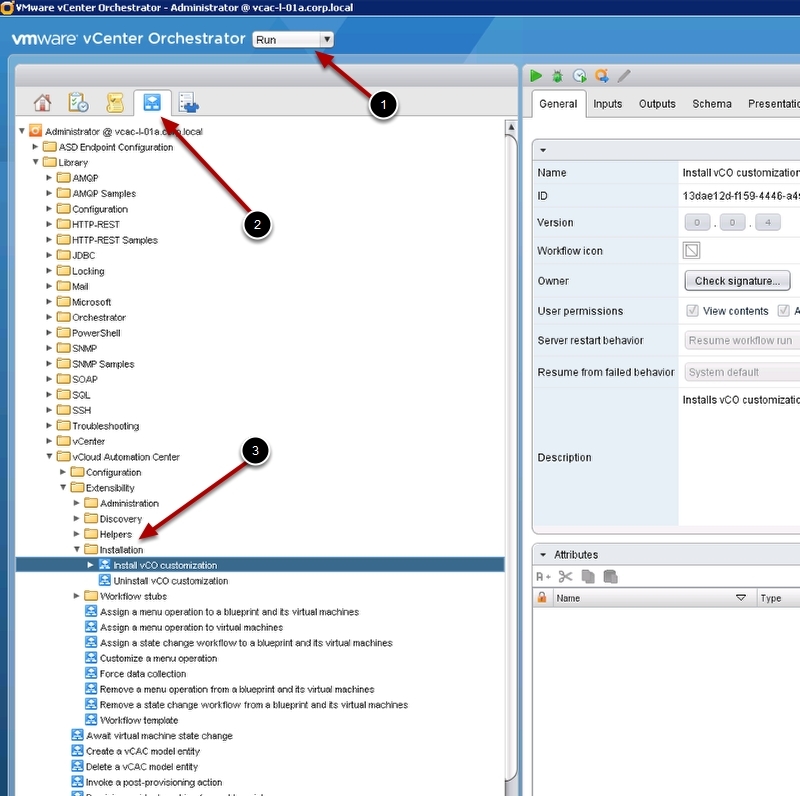 Now let’s check the vCenter Plugin, make sure you can see the datacenter and clusters that you are provisioning Blueprints to. 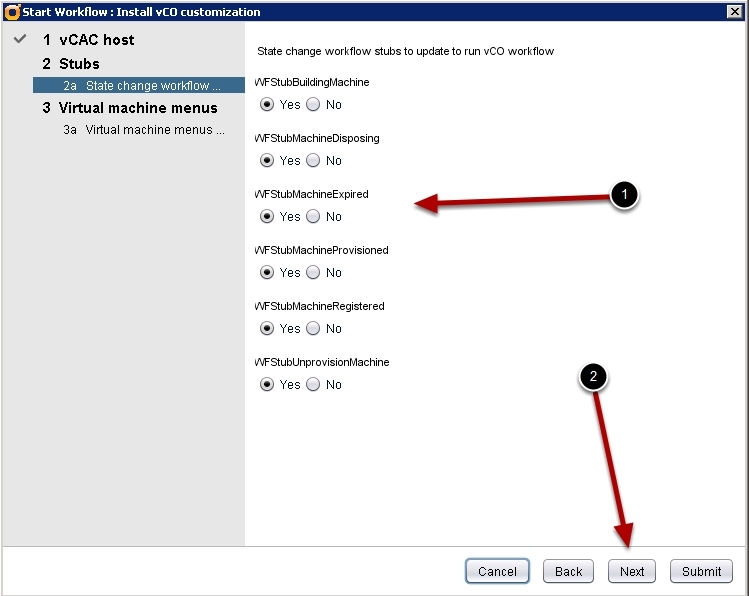 Please Note: The following steps will modify your vCAC workflow stubs. 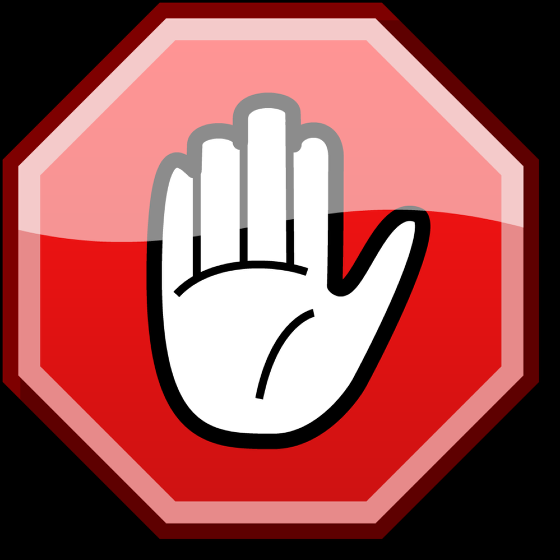 If you have done work in design center already those workflows will no longer run. If you would like to continue to use workflow stubs you will need to manually modify the stubs in design center and add the vCO customization manually. Now that we got that out of the way, let’s proceed. 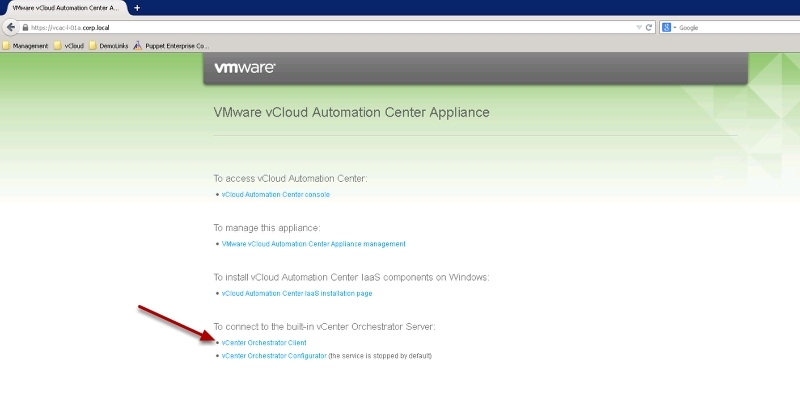 Select you vCAC host from the list. You are now ready to move on to Part 2. In the next guide we will pass custom properties to vCO to run a hello world script in the guest VM during the vCAC provisioning process. This entry was posted in vCAC 6, vCO by Ryan Kelly. Bookmark the permalink. Really great toturial. Gave some really usefull insight into how vco works. Except for the screenshots (which could use a higher resolution) everything went as it should following your examples. However. when the blueprint is requested and the machine is up running, i see the vco workflow is running as expected. the log inside the vco client shows alot of information, but stops at. 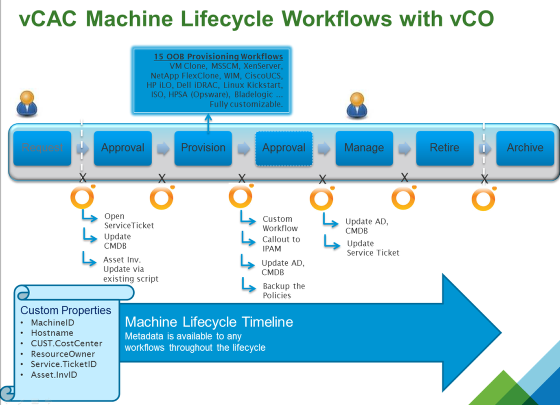 after 10-20minutes the machine is deleted from vcenter since vcac expects it to be finished but isnt, so its destoyed. 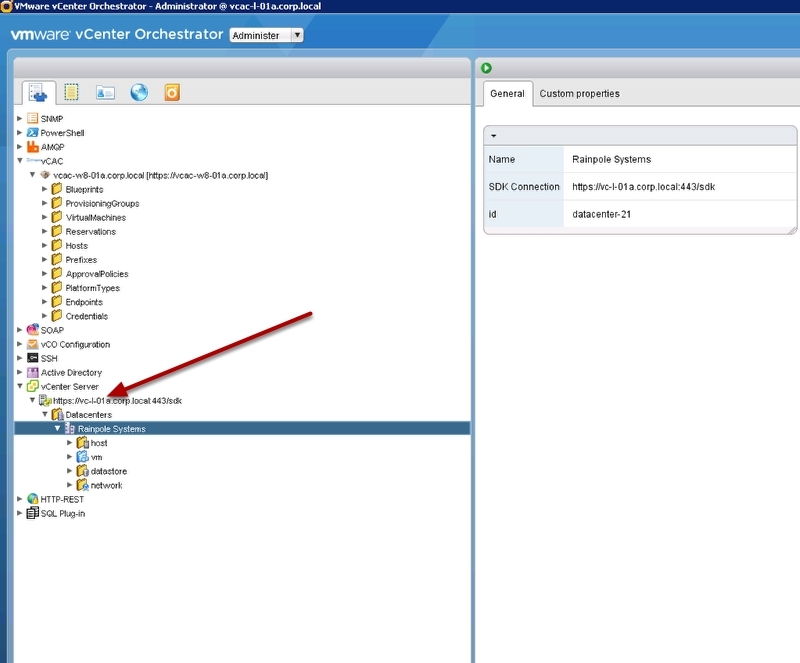 I can fully browse vcenter from the vco client. any suggestions how to troubleshoot this? As it happens from time to time, the solution is found after posting for help. 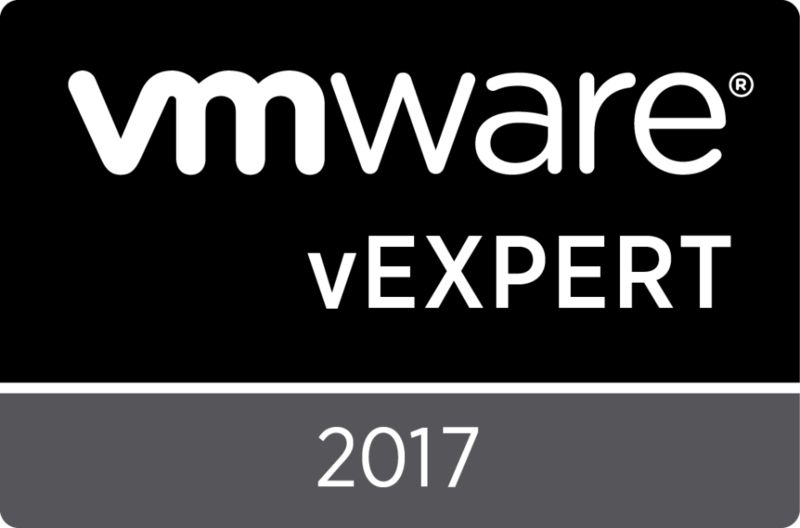 it could actually not browse the vcenter – dont know why it suddently changed, but using another administrative user solved the problem. No worries Dennis, your post has actually been useful to a couple other folks trying this integration. I can still delete if you want though.